Designers Inma Bermúdez and Moritz Krefter make up Studio Inma Bermúdez, renowned as one of the most prominent studios in Spain, regularly collaborating with companies such as IKEA and Lladró. During the last trimester they have taught classes at the CEU Cardenal Herrera University, a private university with headquarters in different areas of the Valencian Community. 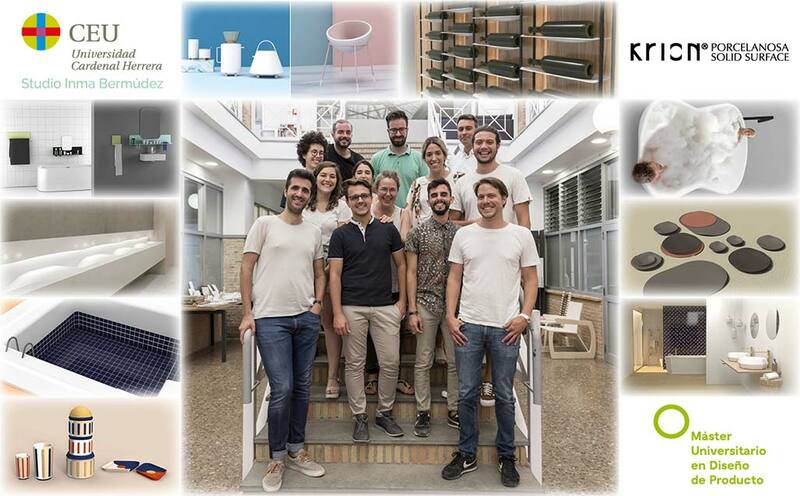 Under the tutelage of Inma and Moritz, young people from different parts of Spain, studying the university Master’s Degree in product design have had to develop products made with the solid surface from PORCELANOSA Group, KRION. The students visited the KRION facilities in Vila-real, where the possibilities and applications of the material were explained. In two subsequent visits to the facilities of the CEU, the students presented their work, and those in charge of products and communications spoke with them, offering them different production options. We would like to take the opportunity to thank Studio Inma Bermúdez and Otto for having trusted in KRION and PORCELANOSA Group for this collaboration.